The magnificent forts witnessing rich history and glory, spectacular architecture, wild life at its best, sand dunes, religious pilgrims and foremost the extra amazing hospitality; what else is required for a spectacular holiday. 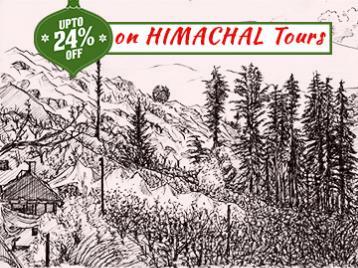 This 11 days and 12 nights tour package by Himalayan Mysteries is an absolute treat for travelers. It covers the pink city Jaipur, the divine city of Lord Brahma, Pushkar, the city of glory and strength, Chittorgarh, the Venice of east, Udaipur and the gateway to Thar, Jodhpur. 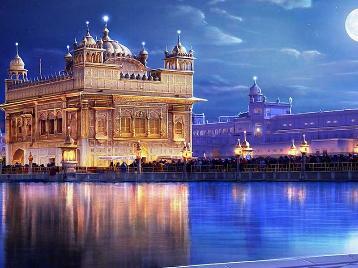 Package ensures the cultural encounter along with the royal hospitality, uniqueness and diversity. Upon arrival at Jaipur, you will be received by Himalayan Mysteries's representative, who will assist you by checkin at hotel. 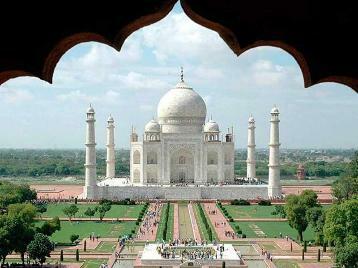 You can spend rest of the time at leisure or you can explore Jaipur city. Dinner and overnight stay at hotel is scheduled. Day starts with tempting breakfast and later proceed with Sightseeing of "Pink city". Starting with Amber fort, enjoy elephant ride from the foot hill to the top of the hill. On the way visit Hawa Mahal, Jal Mahal. After Lunch visit to City Palace Museum and Observatory. Evening free for Shopping. Dinner and overnight stay at hotel. Day starts with breakfast at hotel forwarded with travelling to Chittorgarh. After reaching, enjoy lunch and later proceed by visiting Chittor Fort. Same day travel to onward destination i.e. Udaipur. Reach Udaipur in evening and check in at hotel to stay overnight. Proceed to Udaipur sightseeing post breakfast. Starting with City Palace, Jagdish temple, Sahelion ki Bari, Lok Kala Mandal and PratapSmarak. After noon excursion to Haldighati, NathdwaraTemple-Srinathji Darshan and on return visit to Eklingji Temple, the deity of Mewar rulers. Dinner and overnight stay at hotel. Start the day with alluring breakfast and then proceed to Mount abu, enroute visit at Ranakpur the 14th century Jain temple having 1444 pillars, not one of which is alike in its carving. Cupolas surround the five spires. After lunch drive to Mount Abu and Night stay at Hotel. Day starts with enticing breakfast and proceed to sightseeing in the city. Start with visiting Delwara Temples, Guru Shikhar and many more. After lunch visit to Nakki Lake and Sunset point. Evening stroll around Nakki Lake. Dinner and overnight stay at hotel is scheduled. Post breakfast, travel to onward destination; Jodhpur. After arrival check in at Hotel Ghoomar.After lunch visit to Mehrangarh Fort and Jaswant Thada. In evening you can explore markets of Jodhpur. Dinner and overnight stay at hotel is scheduled. Post breakfast, proceed for onward destination; Jaisalmer. After arrival check in at Hotel Moomal. Refresh yourself for some time. In evening, we will take you to sand dunes to enjoy the mesmerising view of sun set with camel ride (optional). Return back to Jaisalmer for night stay at Hotel. Day starts with tempting breakfast and continues by sight-seeing of Fort, Jain temples, Havelis and Gadhisar lake. Later visit to Lodurva Jain temples and Vyas Cenotaphs. Overnight stay at hotel. Post breakfast travel to onward destination; Bikaner. After arrival check in at Hotel Dholamaru. Later visit to fort and museum. Enjoy the delicious dinner forwarded by overnight stay at hotel. After breakfast leave back for our starting destination Jaipur. We will drop you to railway station or airport for your onward journey. We sincerely hope that you enjoyed the trip to fullest. 10 Nights Accommodation, as per mention “hotel used” column. Toll, parking, fuel, night halt, d/a, permit fee & state taxes.. Mineral water bottle Cold Unlimited During the Car Travel. Accommodation other than specify, meal other than specify, transportation other than specify, monument entrance fee at the places of sight seeing, camera charges, elephant ride, camel safari, boat ride, any air / train fare and personal nature expenses such-laundry-drinks-tips and all the thing which is not mention in “Cost Includes” column.